Les Bourgeois Vineyards and Winery history begins in 1974 when Curtis and Martha Bourgeois purchased 15 acres of blufftop property on the Missouri River near Rocheport. Year later the family planted a hilltop vineyard in front of their home. It wasn’t until after the first significant grape harvest in 1985 that the Bourgeois’ casual hobby of making homemade wine showed the potential to become more than a diversion. Today, Les Bourgeois is the third largest winery in Missouri making nearly 135,000 gallons per year. The vineyards at Les Bourgeois produce native varieties such as Norton and Catawba, along with various French hybrid grapes including Chardonel. Designated as the official state grape in 2003, Norton is the cornerstone of the Missouri wine industry. 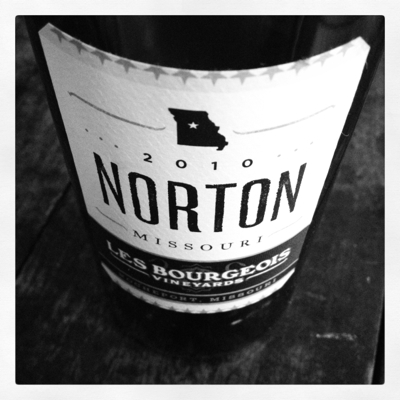 So it’s only fitting that the first Missouri wine featured on the site is the Les Bourgeois Vineyards 2010 Norton. Oak aged for 18 months, the 100% Norton retails for $25. A deep, dark purple in glass, the smoky bouquet shows plum, violet and plenty of warm spices. On the palate, the full-bodied wine displayed similar characteristics as the nose with the added touch of sage and black cherry. 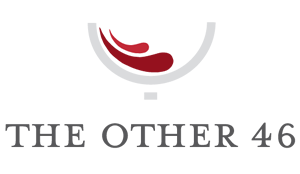 Robust and delicious, the wine is a great example of the state’s signature variety. A poultry dish or a savory stew would have made this wine perfect.